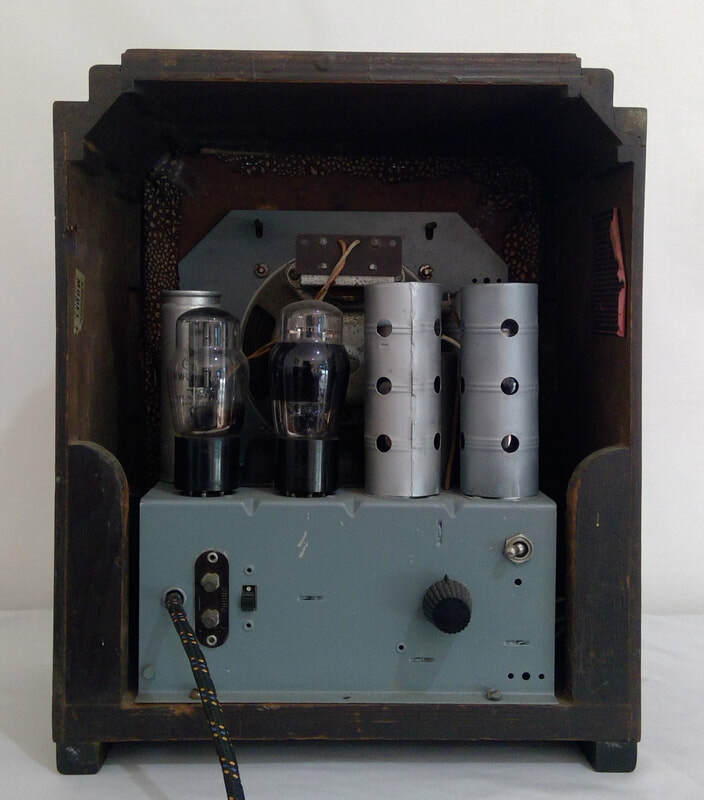 1925, model 300, Ferrodyne, radio receiver manufactured by Stewart Warner Corporation, Chicago, USA. It is a TRF battery operated with 5 value line up. The style is a box table mantle, wooden case construction. Dimensions (HWD) 210mm x 560mm x 245mm. 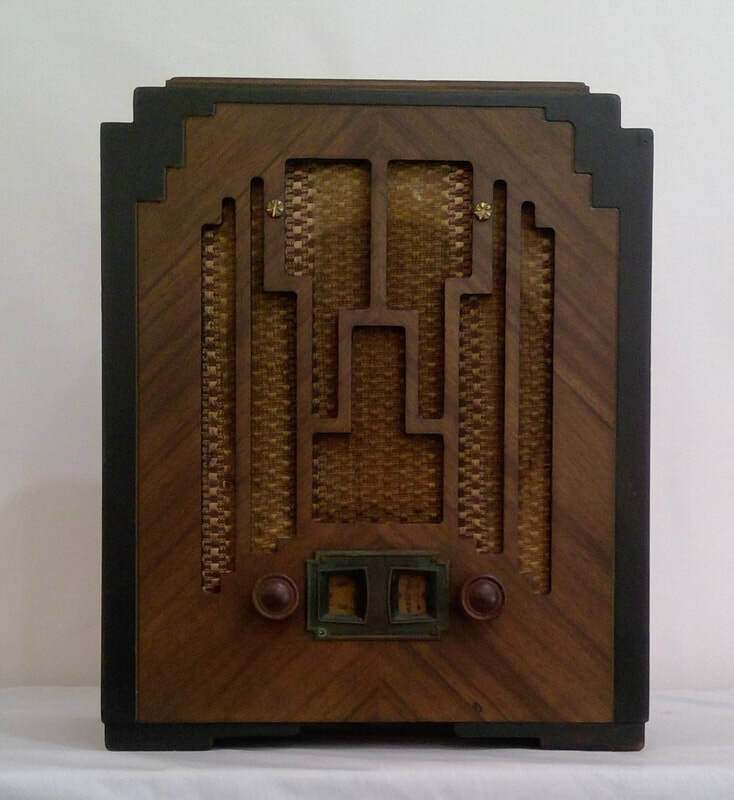 ​1933, model R-116, radio manufactured by Stewart Warner Corporation, Chicago, USA. It is a super-heterodyne AC main (230 volts). It has a 5 valve line up. The style is a tombstone mantle, wooden case construction. Dimensions (HWD) 360mm x 300mm x 190mm.